Available now in the UK; US approval is pending. I’ve always been partial to DJI products. I especially love their lineup of powerful feature-packed commercial drones. But DJI is not the only ones looking to woo more companies and professionals into using drones. 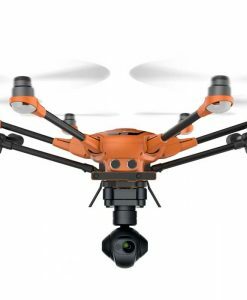 In this year’s CES in Las Vegas, Yuneec unveiled a new drone made specifically for professionals and commercial operators. The bright orange H520 Hexacopter is bigger than their previous releases, with longer rotor blades and a thicker body. The Yuneec H520 also features a higher load capacity, increased flying time and three camera options. All these features are aimed at attracting buyers from a variety of industries including photography, filming, mapping, inspections, and survey. As you would expect, the drone is not cheap although based on commercial drone standards, I’d classify it as a mid-range drone. 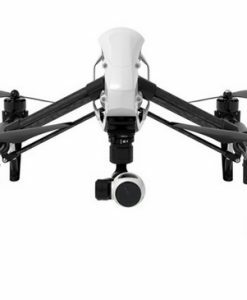 A basic configuration for the Yuneec H520 drone is expected to go for around $2,500. The price can get as high as $4,500 depending on the features you choose. 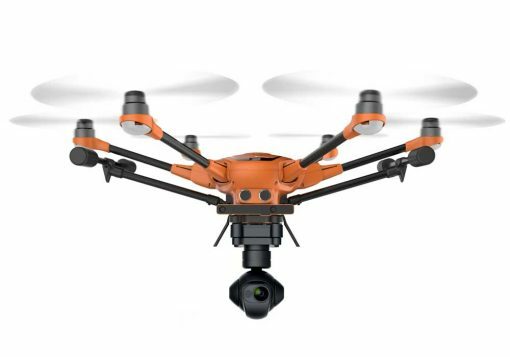 To sell the H520 as an industrial-level drone, Yuneec had to give it a fresh new design to handle all sorts of challenges out in the field. Even at first glance, you can tell it’s a commercial drone from its size and build. The rotor blades are much longer, and the body looks thicker. From the weight to the feel of different parts, the H520 really feels industrial. Its rugged design is going to do it a lot of good in the field where it’ll have to battle against wind, obstacles, and elements. It has to be able to carry a hefty payload while maintaining perfect stability. They have added more powerful motors to give the drone more speed and better performance in windy situations. The propellers produce more lift, allowing the drone to launch effortlessly and easily make turns as needed. 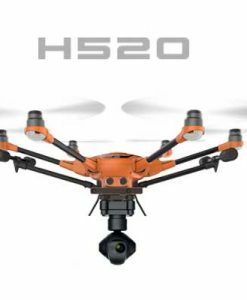 This makes the H520 perfect for a wide variety of commercial applications from photography to solar panels inspections. One other design feature I love is the bright orange design. When flying outside, it is easy to keep track of it even in bad weather. This appears in handy for search and rescue teams who often have to work in tough conditions and terrain. The Yuneec H520 is engineered as a workhorse, able to lift heavy cameras and equipment for different industrial applications. Even with a heavy payload on it (max 500g), the drone can maintain stability and control. 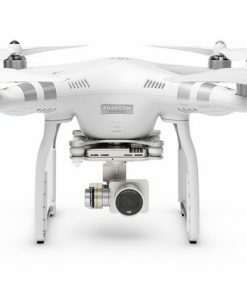 Most drone applications, from the obvious ones like photography to others like mapping, require a camera. The type of camera varies with the application with most industrial applications requiring specialized imagery hardware such as IR and residual light cameras. The Yunec H520 provides drone operators with three camera options to fit different situations. CGO-3+ – This is the same camera found on the Yuneec Typhon H. The 3-axis gimbal allows for smooth 4K shots even in rough weather. The camera can rotate 360 degrees, perfect for panoramic pictures and comprehensive survey projects. The wide-angle glass lens captures plenty of details in 4K clarity. Finally, the 5GHz WiFi transmission system allows you to stream video and images live up to a range of 400m. CGO-CI seven-element inspection-ready camera – This camera is designed for cinema and vertical inspection applications. The camera features traditional 4K video quality but with a tighter field of view. Its biggest strength is its ability to capture details much further away with the same clarity as it would nearby object. The all-glass lens distortion-free lens produces high-contrast imaging, making it especially ideal for filmmakers. 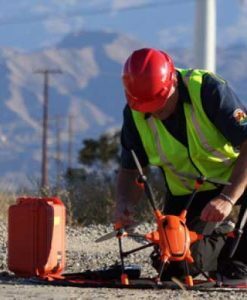 CGO-ET dual thermal RGB camera – For industrial maintenance, fire inspections, and search & rescue, the H520 can be paired with the CGO-ET camera. 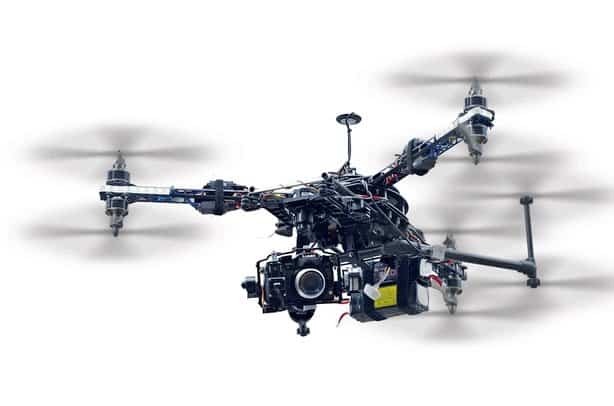 The setup includes a 3-axis gimbal for smooth shots, a thermal imaging lens with an adjustable temperature range and a low-light (residual light) lens that is 20 times more sensitive than the human eye. The dual lens camera can be set to stream both types of images separately or as an integrated overlay. 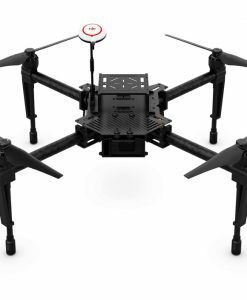 While most people might argue that DJI is still better at making rugged industrial drones, both brands are at par when it comes to the imagery equipment. What I love most is the versatility that Yuneec has given the H520 using the 3-camera array. If you are looking to do some photography, the CGO-3+ is great. If you want high-quality cinematic videos for commercials or films, the CGO-CI is designed exactly for that. And if you are a commercial drone operator looking to serve your clients using the best tools in the market, try the CGO-ET camera. As I mentioned before, your preferred configuration will determine how much you pay for the H520. Though official prices have not yet been announced, I have a feeling the CGO-CI and CGI-ET cameras are not going to be cheap. But they are worth the price tag, especially if you care for nothing but the highest quality imagery. Most pro drones feature some obstacle avoidance technology. Some use a combination of cameras and sensors while others rely on GPS and ultrasound to maintain a safe flight path. The Yuneec H520 will come integrated with Intel RealSense Technology. This technology is akin to giving a drone eyes. It can create a virtual 3D model of the environment around it, allowing it to recognize potential obstacles and draw the most efficient flight path. The best part about RealSense is that it learns from ‘experience.’ The more you fly the drone, the better it gets at obstacle avoidance. It cannot run into the same obstacle twice, and it continually enhances its flight path and maneuvers. RealSense technology is a big deal for commercial drone operators. You’ll most likely be flying in areas with plenty of obstacles. Without any sort of obstacle detection system, you’d find yourself focusing more on the flying than the imagery you are supposed to be taking. RealSense allows a hands-off approach. Combined with smart flight features, these technology pilots the drone safely without requiring your constant attention. Even with all the sensors and safety features, problems can still occur. The drone could run into a tree or hit an object. 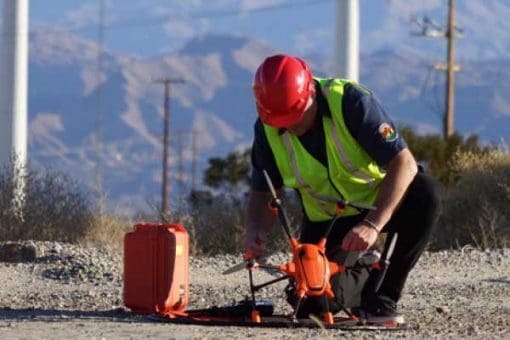 Luckily, the Yuneec H520 is built to withstand emergency situations without crumbling. One of the best features is the ability to keep flying even if one of the rotors stops working. So if one of the propellers hits an object, the drone will still be able to land safely. 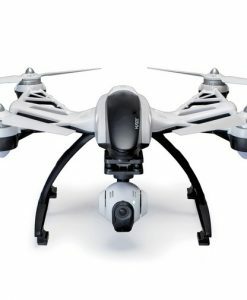 We will know what other safety features will be there in Yuneec only after its launch. One of the features I’m hoping to see – which is available in some DJI drones – is the ability to automatically fly to a preset point in the event the operator loses connection to the drone either because it has gone out of range or low battery power. Another valuable addition to the drone is Waypoint technology. It works with Intel RealSense to provide truly hands-free flying. Waypoint technology allows the drone to automatically fly to a fixed set of coordinates without requiring constant directional control. Using the remote controller, you can set the drone to fly to a certain point, in a specific direction, and at a specific height. I can see this becoming a useful feature in survey and mapping where comprehensive imagery is required. You can simply instruct the drone to fly along a certain path while you focus on controlling the camera. The RealSense technology ensures the drone does not run into any obstacles along the path. It can avoid obstacles as big as houses and as small as tree branches. For photographers and filmmakers, Waypoint technology allows you to take smoother and more focused shots because you can focus more on the camera and less about navigating the drone. 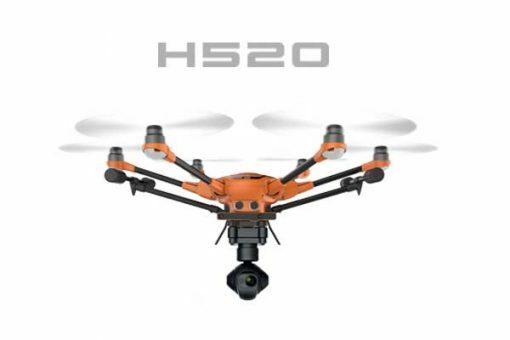 When the H520 launches in the US, it will become one of the best mapping drones in the market. With a flight time of 31 minutes, it can cover large areas quickly. You can use the basic CGO-3+ camera or get the dual lens CGO-ET camera. With the latter, you can take infrared imagery and overlay it with normal images. This allows you to carry out a comprehensive analysis of buildings, urban areas, and farmlands. Depending on your needs, you can create comprehensive 2D or 3D map models. The provided SDK (software development kit) allows you to create your customized software applications and integrate them with the drone’s imagery.